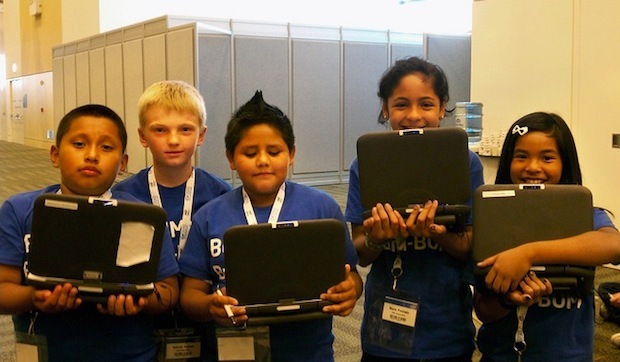 Kids can hack too, so DEF CON has a new conference for the discerning young cyber attacker. Hacker conference DEF CON is, in information-security circles, a big deal–which is why it’s pretty astonishing that in August it will launch its first event targeted at the younger hacker. You know, the kind who’s still in school and may not yet be old enough to drive, but is quite adept at managing SQL injections, DDoS, and password cracking. The kind of hacker who may be as young as 8. The goal of the DEF CON Kids event, which is running alongside the regular conference, is simple: To bring together the youngest generation of code monkeys in one place, establish some sense of community, and try to convince the cheeky little hackers that being a white-hat hacker (kindly breaking into companies’ networks to demonstrate their security loopholes, and thus combat crime) is much better than slipping over to the dark side of being a black-hat hacker (essentially doing the same things, but with malicious intent). It’s not just about meeting and greeting, though. A group of elite adult hackers will be teaching at the show, running basic computer programming sessions as well as teaching classic skills like puzzle solving and, yup, lock-picking. Security services and high-tech companies may also show up in the hope of tracking down future whiz kids among the crowd–and could even do a little recruiting. After all, Microsoft recently revealed that it was working with a 14-year-old hacker who broke into the code for the game Modern Warfare 2 and was educating him how to best use his skills. If you find it implausible that kids really are this tech savvy, then check this out: Back in 2010, a U.K. survey by a security firm and regional police force discovered that while 78% of kids thought hacking was a bad thing, one in four U.K. children had tried their hands at hacking–even though the acts were typically mild, like trying to break into a friend’s Facebook account. In light of recent high-profile cyber attacks on Sony and others, a growing concern about a China-based Cyber War, and the black-hat/white-hat public attacks by LulzSec and Anonymous, DEF CON’s new initiative seems like a damned good idea.